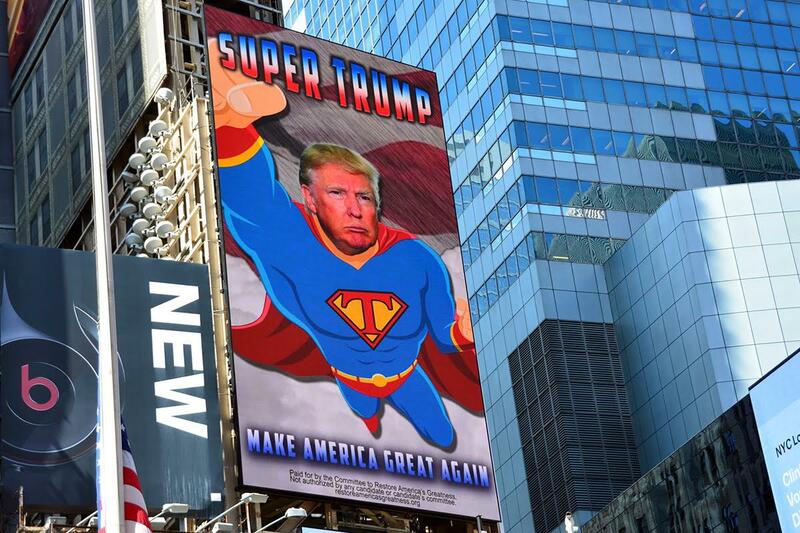 A lot of people wanted this billboard about Donald Trump to become a reality in New York City. Instead, we got the one above—a masterpiece of unintentional camp that is running on a digital board in Times Square through Friday. The objectively ridiculous, 55-foot animated billboard is sponsored by a pro-Trump super PAC called the Committee to Restore America's Greatness, according to the New York Post. The buy cost $25,000, says Trump adviser Roger Stone. The ad is intended to show off Trump's "stamina" and contrast the candidate with opponent Hillary Clinton's recent health issues, according to filmmaker Joel Gilbert, who made the animated video. Dr. Robert Shillman of San Diego paid for the board, says the Post. 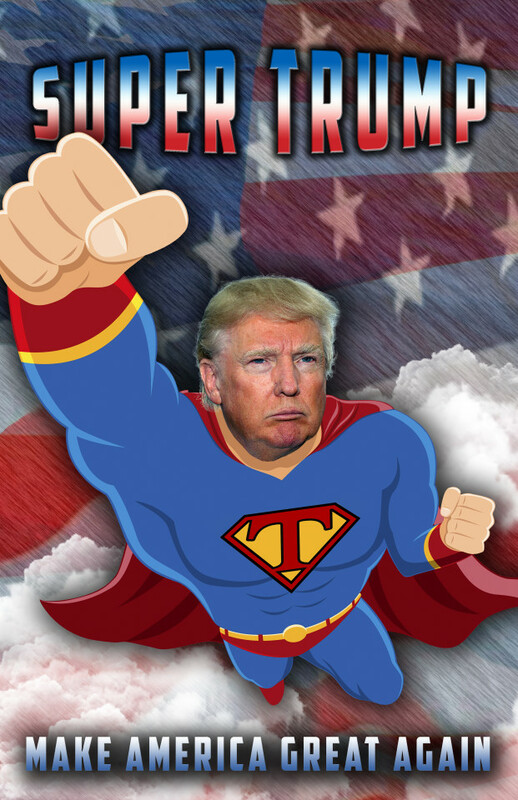 "When I was a kid, Superman was my idol because he stood for truth, justice and the American way, just like Donald Trump," Shillman said in a statement. The same ad will appear next week on a board along the I-4 corridor in central Florida.